Wondering how to delete attachments from Gmail? Well if the answer is yes then we are here to help you out. Often when we try to send an email, we mistakenly attach some unnecessary files to the email, and as a result, we need to delete that file to fix the mistake. 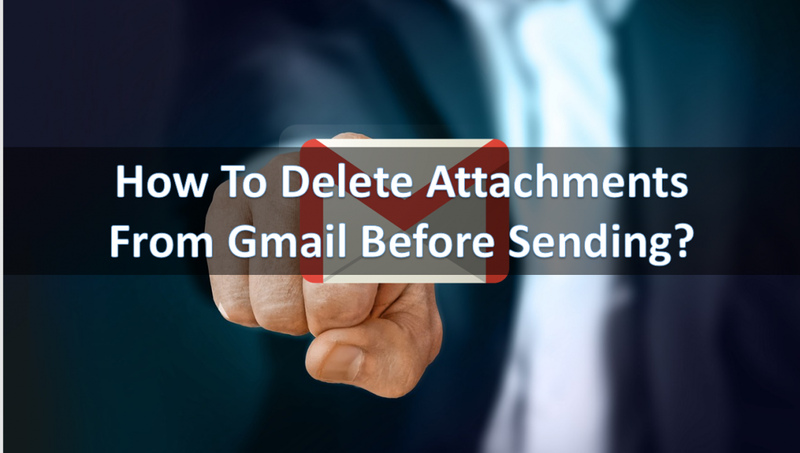 So the question is how to delete attachments from Gmail before sending?. Or we often receive too many emails with accessories in it. But once we are downloading such attachments then how can we delete such attachments. Just in case if you have these questions in your head then read on, and we will be sharing the answer. So let’s just head into the topic without wasting much of the time. How to delete attachments from Gmail before sending? Step 2: Once you are on the Gmail page you have to sign in using your Google credentials. Step 3: Once you are signed in simply click on the compose button from the left side of your computer screen. Step 4: Now from the compose tab you have to click on the attach file button. Step 5: Now select your preferred file that you want to attach. For this example, we have picked up a Doc file. Step 6: Once the file uploads you will get to see a small box on the compose tab which will display the name of the file. Also besides that, there will be a small “x” icon or cross icon. Step 7: So to delete attachments from Gmail before sending you have to click on that cross, and it will get deleted. Now if you are thinking “how to delete photo attachments from Gmail.” Well, then you have to follow the same process. In fact, for your every Gmail how to delete attachments from email question. You have to follow the same process. To delete the attachments that you have received, you can simply delete the email. Simply open the email from Gmail, and above the menu clicks on the delete button. So that was all about the how to delete attachments from Gmail. Just in case if you have any questions you can comment below, and we will surely help you out.